Mounting systems play a significant role for solar arrays since they secure the panels of a solar energy system or a solar plant. 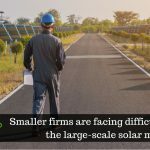 New installers and asset owners are constantly in a lookout for the most feasible solar energy system to generate solar energy. We have talked a lot about solar panels and the technologies, types, and methods employed with respect to them. Let us now focus on ground-mounted PV systems and the solar racking involved in these. These systems anchor to the ground upholding many stacked panels. The anchoring to the ground is a tricky aspect since foundations fall into several categories. For the soil clear of debris steel beams are driven into the ground. For uneven, unsmooth ground conditions, anchor systems like helical piles, ground screws are more feasible, although they may take more time. An interesting fact with the ground mounted systems is that they do not always have to penetrate the earth. One can ballast the arrays on the ground just as they are used on the roofs. Cast-in-place blocks are an easier option for installers if the ground conditions can hold the weight. 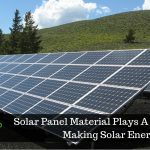 Developers and installers who want to enhance their energy output turn to tracking systems since they track maximum amount of sunlight throughout the day, by ensuring that the panels face the Sun all the time during the day. Tracking systems may be single-axis or dual axis. Single axis tracking utilizing long rows of panels follow the Sun from east to west. Dual-axis traverses a circular path for maximum energy output. Based on the number of motors employed, there is further distinction of tracking systems. Centralized trackers move many rows of panels with single motor. Distributed trackers use many motors to move a row or a table of solar panels. Centralized systems use less number of motors compared to distributed systems. Solar carports employ tall ground-mounts and are common in commercial settings. These carports can be equipped with electric vehicle chargers as a bonus for the parked vehicles. Flotovoltaics are solar arrays that float on water. Several reservoirs and water facilities can be used to place solar arrays to generate solar power. These are not anchored to the ground, but have similar characteristics as that of the ground-mounted systems. Ground-mounted solar is a viable system for solar power generation. 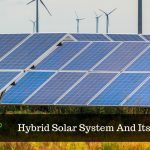 The different types of solar ground-mounted racking systems can be employed based on the project requirements for efficient installations widening the scope of solar power generation.